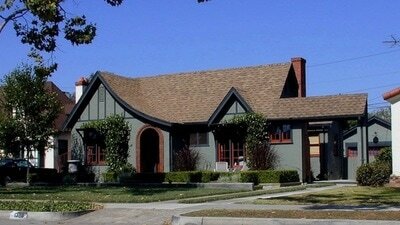 The client asked me to upgrade this 1920’s Tudor with a new kitchen and baths, along with increasing the curb appeal. To make the house look longer, I designed a ‘litchgate’ bridging over the driveway, complete with a window to provide local symmetry to the main window in the Living Room. 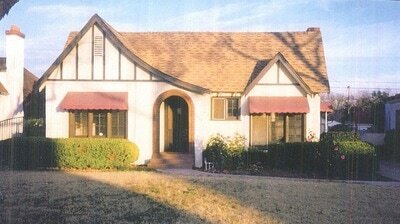 I designed the front yard landscaping to provide some structure to the lawn and gardens.